Comedy. 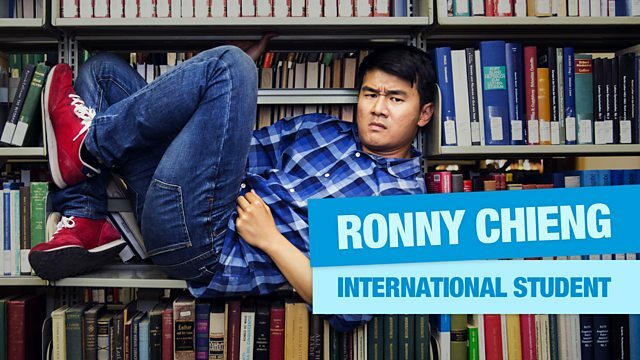 Malaysian student Ronny Chieng arrives at Melbourne University to read law, with his mum's pleas to study hard still ringing in his ears. Malaysian student Ronny Chieng arrives at Melbourne University to read law, with his mum's pleas to study hard still ringing in his ears. He soon learns it is not as simple as that when a deranged law professor, a drunken social secretary and a bunch of rich, uptight, racist fellow students make for an interesting first day. When Ronnie and his new friends Asher, Elvin, Wei Jun and Denedict find that there's only one copy of the textbook for their first assignment, it's a race to get hold of it, and Ronnie somehow, very reluctantly, finds himself entering an Aussie drinking competition to win the book back.